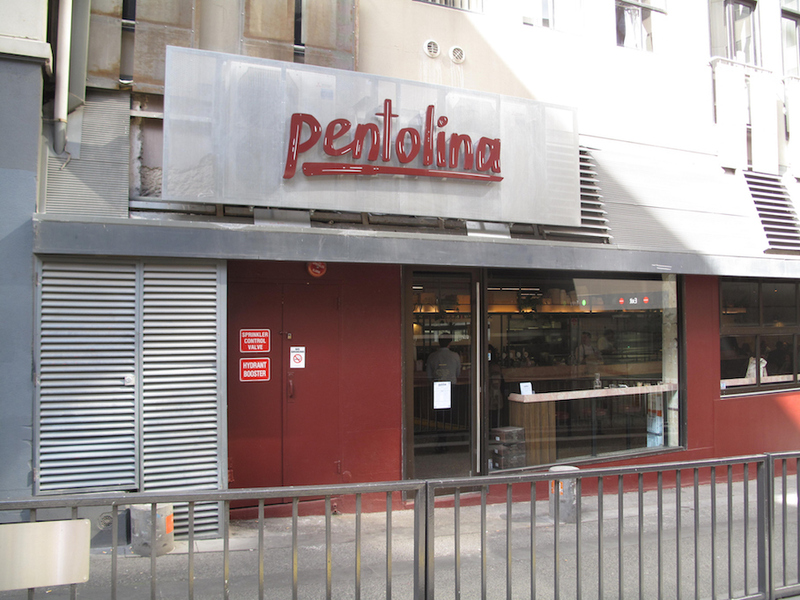 Consider The Sauce’s supremely enjoyable visit to Pentolina evokes many memories. 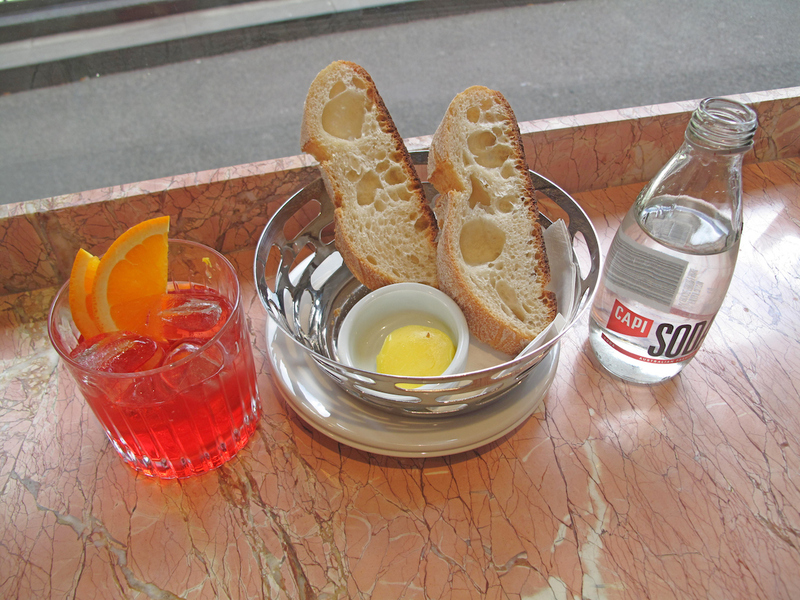 For starters, so to speak, I recall imbibing a bowl of pasta at the same address many years ago – about 20, I think. That, too, was a specialist pasta house. 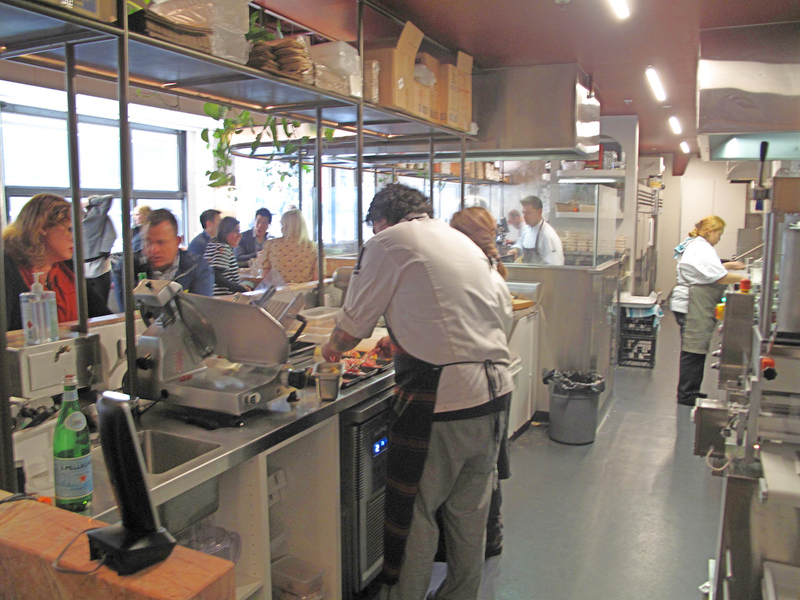 These days, under the guidance of husband-and-wife team Matt and Julia Picone, old-school pasta is still very much the go, though the place certainly looks very different. It’s classy and stylish, without being overbearingly so. 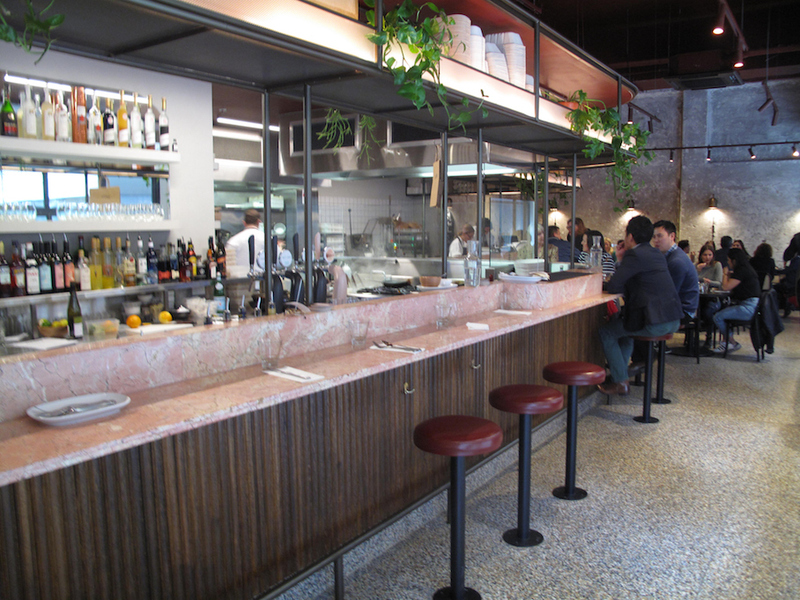 Matt was a barista at Pellegrini’s for the best part of two decades, and it is that sort spirit and vibe they are trying to foster at Pentolina. Justin is my CTS companion for this adventure. We figure out rough timelines that strongly suggest that not only had we both enjoyed several – and maybe many – coffees made by Matt, but that we were also quite possibly sitting side by side while doing so on occasion. Are we happy to be here as guests? 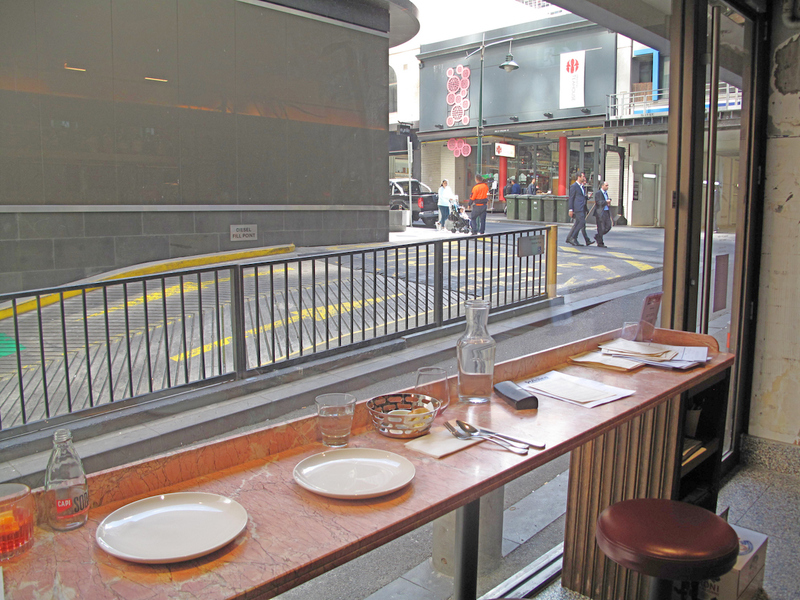 Taking up pews at the window bench – good for watching the passing parade outside and for the taking of photographs – we are happy, too, to leave our leisurely lunch in the hands of the staff in the form of the $60 a head “feed me” menu. 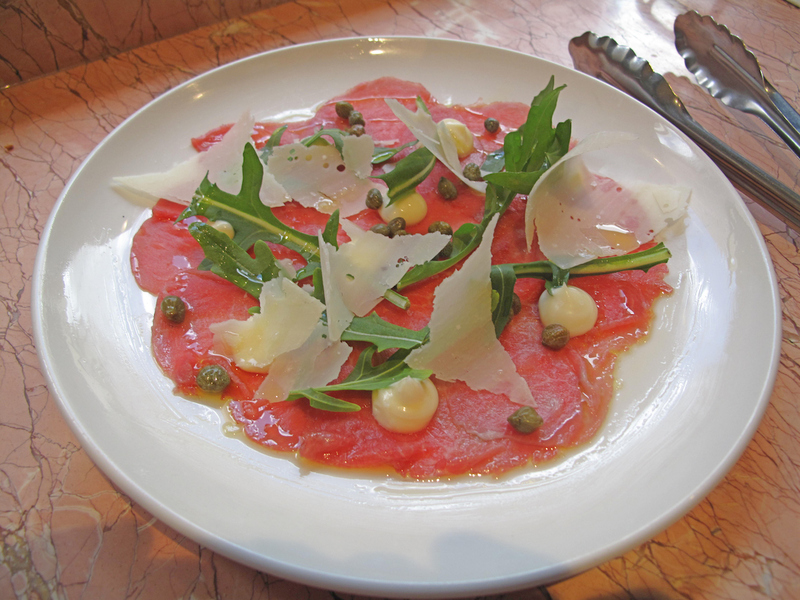 … beef carpaccio with truffle cream and parmesan ($19). There’s little for me to say about these – except that they are wonderful, simple, fresh and prepared with superb ingredients. And they’re just the sort of thing we feel like. We discover that we both have something of an aversion to the oft-leaden arancini. 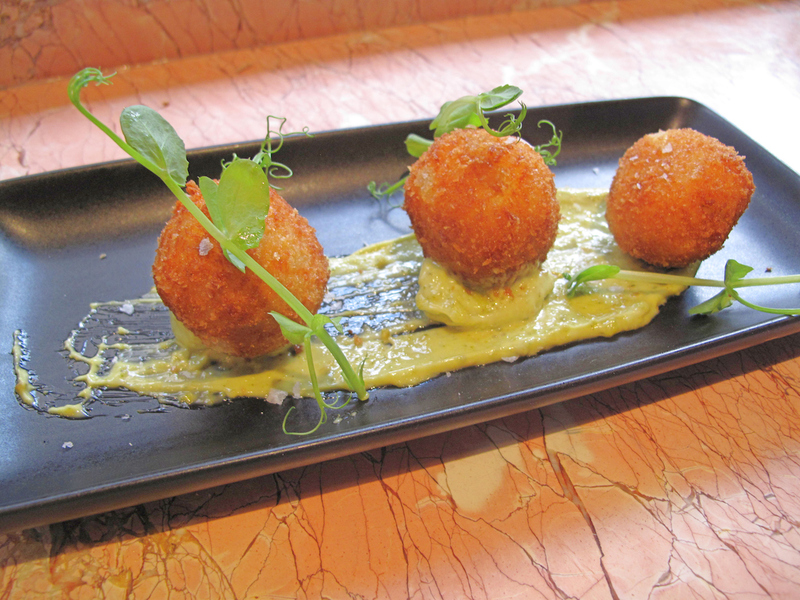 So we love these smaller cousins – Alessandra’s suppli (rice croquettes) with saffron and grana padano ($9). They’re light and fluffy and beautifully fried. Then it’s on to the pasta – all house-made. 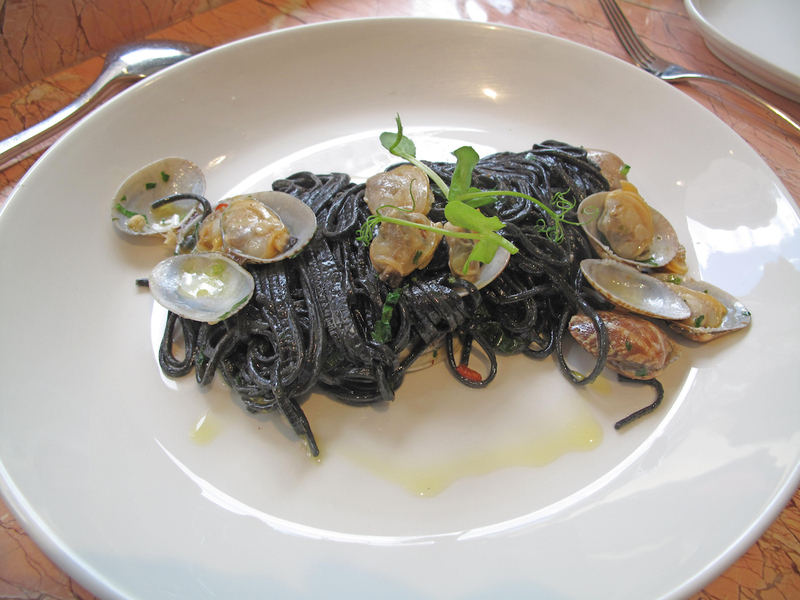 Squid ink spaghetti with vongole ($28) is lovely, though the simple sauce of white wine and garlic (I think) is quite dry. 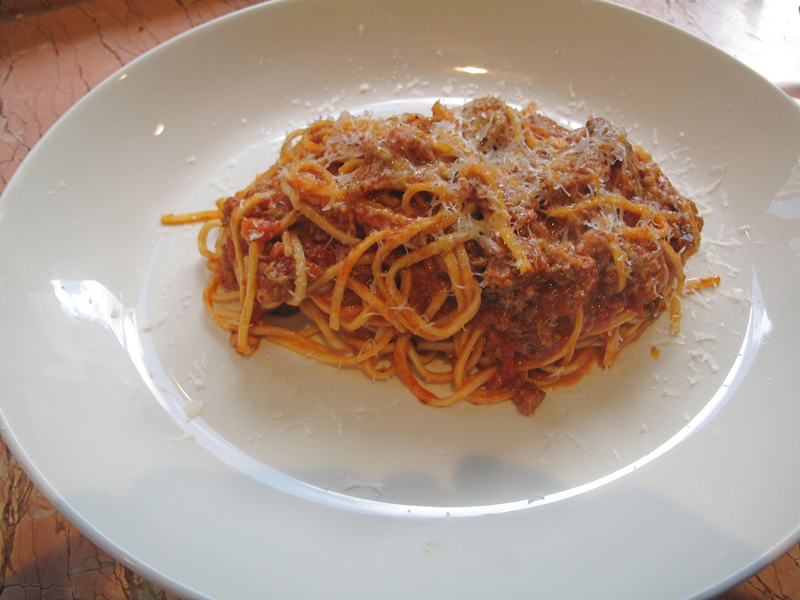 Matt’s spaghetti bolognese (ragu with beef, eggplant, zucchini, vermouth, $21) is good, too, though I think – nostalgic for the lusty gusto of the Pelligrini’s version – we both find it muted in both texture and flavour. 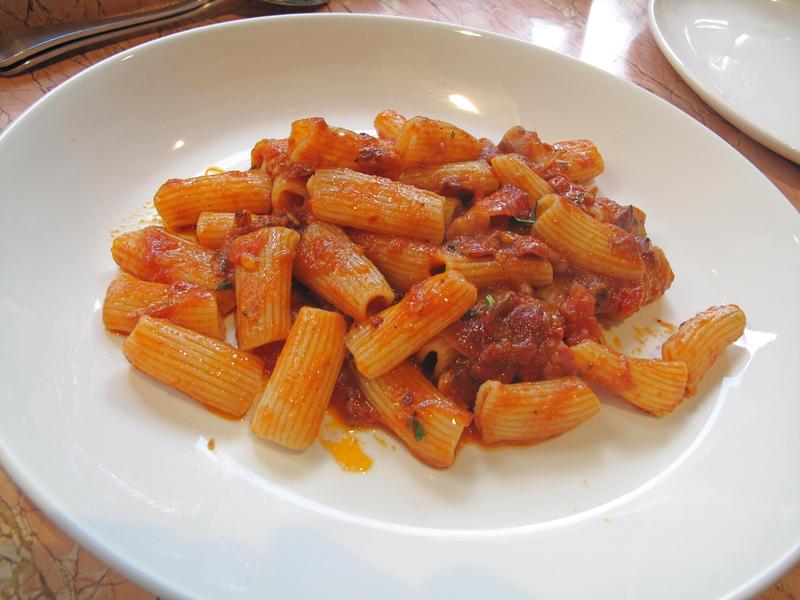 In that regard, the simple, righteous rigatoni amatriciana ($23) of pancetta, napoli, fresh chili and olives is a dead-set bullseye – and the pasta hit of the day. The pasta, however, is just a tad too al dente for my tastes. But let’s not quibble – this is ace. 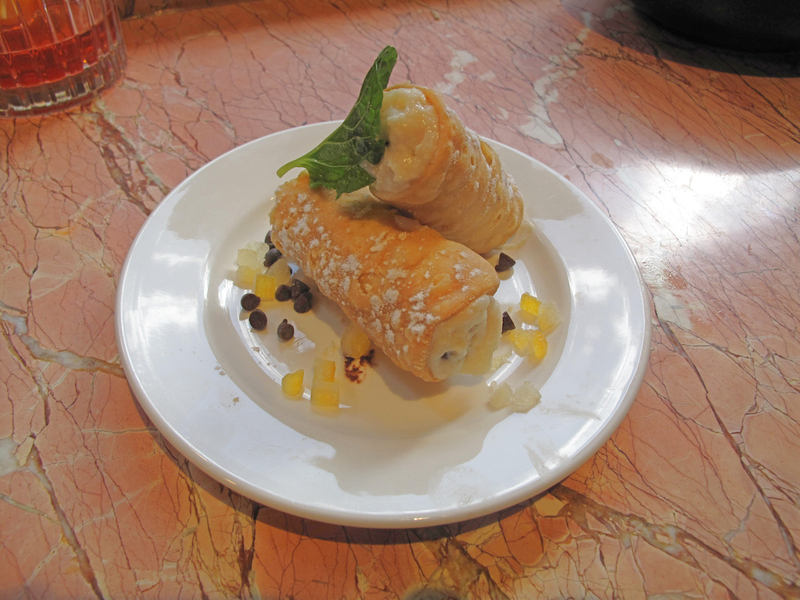 Cannoli with ricotta, citrus and raisin ($3 each) are light and champions of their kind, with quite an unusual flavour and very crusty casings. 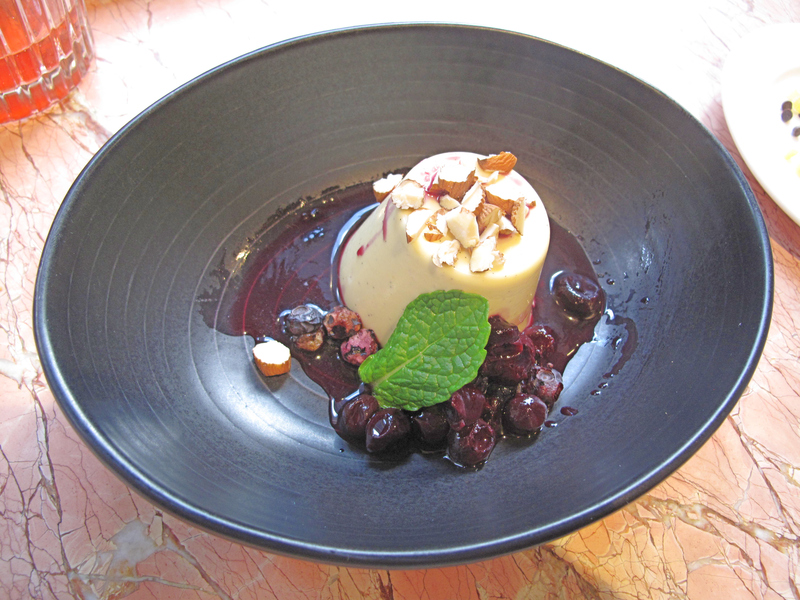 Justin confesses to not being much of a fan of panna cotta. But even he is impressed by the Pentolina version with fresh berries ($13). I love it to bits – so delicious. Thanks Kenny for the invitation! Delicious food… will definitely head back there another time as a paying customer. The one thing that sticks in my mind about the cooking (as we discussed at the time) was how consistently deft and subtle it all was, dish after dish. 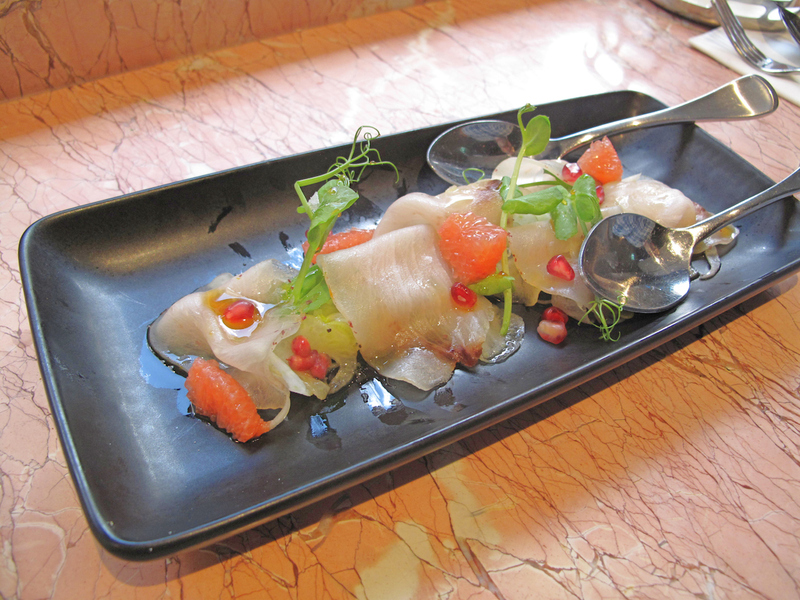 No ingredients overpowered others, everything was there for a purpose, and added the right amount of flavour. My only quibble was I thought the bolognese could have been heartier (a bit more red wine perhaps in the sauce) but the matriciana delivered on the heartiness factor in spades. Hamza is pretty much spot on. Though we do get to Prahran/Windsor when we go to a move at the Astor in St Kilda. Why marked.the african community is not that big that side of town!!! Did they make changes to menu that burger! look a bit different. Kenny did you review the yemeni restaurant in footscray? Sorry, don’t know it! Is it new? Where in Nicholson? Not sure how old,I’m from kensington. I think Its four shops down from barwaqo cafe. Just of corner paisley st and Nicholson st.
We have good yemeni in our area on racecourse rd flemington but footscray was also good. Is there community that eat yemeni in footscray mahmud! Flemington has mandi loving students tho. Its a little too soul for aussies that cafe but give ago. Yes. We like it a lot. I eat somali places in footscray since i move to this side of town,but how is the old east african restaurant,i tried to order uber through but they dont exist any more,are they closed permanent. Hardly any food trucks in Yarraville these days. Don’t they have something like highest truck pollution related deaths in Melbourne west,but yarraville is more than ,its actually pleasant place to dine in,great community. Its great yo know him and his son is healthy breathing well. Kenny when would ubereats up running back in somali star cafe? What? 🙂 We’ve never seen Somali Star on Uber Eats. Kulan, yes. We cannot get deliveries from Flemington because we live too far away. Are you confusing Somali Star in Footscray with one of the Flemington places? No ubereats this week, they said Monday should be ready .kulan has sambusas but not as big,you would to wait till Monday or order from flemington. We can’t order from Flemington. Somali Star has just posted an updated menu on Facebook, but not for delivery as far as I can tell. Oh OK! That should be fine for us in Yarraville! Yarraville should be fine. I think as far as Spotswood is ok deliveries from footscray region, and the other side as far as ascot vale also should be fine from footscray region. .
All good, but … Somali Star lists its closing time as 6.30pm. Including kingsville in your area. Yes too early ,wasn’t aware of it,is that when they close the mall! Somali cafes in footscray are mostly ethiopian nationals,their rice is somewhat different to mainland ones in flemington but equally as good. Karibu and somali star probably some of the best somali sambusa in Melbourne.way to go footscray. Hey sahras kitchen rice looks more fried Somali ethiopian and less mainland stock cooked rice but they are mainland somali cafe i understand! Its mainland somalian sahras kitchen, 100% sure. Kulan is not somali ethiopian but others you are right. Did this blogger reviewed any somalian restaurant in footscray hassani? Manzi he did somali star cafe few years ago. And also Al Jazeera more recently. Aw ok.i though jazeera was non mainstream!! Hassani he reviewed sahras which can be described as semi mainstream,he is not bothered by if the eatery is not fully mainstream.his son also is same. too far for me,any malaysian you recomend in footscray! The post is about ripper pasta place,the blogger may not be ok with different topic.too many comments on different topic not good!! All good! The blogger loves all comments no matter where they land! tawakal jj you are right the somali star cafe very popular but location helps,suited heart of african mall with no competition around it. most somalians in that area are unmarked and marked somalian fast good kebab /burger joints.even that kulan no one knew it was somalian that is untill they introduced somali food.its recently that wider public accepted kulan as african place. any one can open a restaurant and paint african animals to reflect the africaness of the street.if the painting was black people in kulan,that would give a hint the owner or the place might be african. John, it’s in the middle of the arcade. Considerthe sauce marked just means ” the restaurant is presented as african /somalian by the somali owner. Unmarked also could be used in areas or suburbs that are ” not so african friendly ” ie they don’t like refugees or newcomers, and it gives that small community apportunity to open businesses without the worry of backlash from wider non african community in that area.usually the seller(non african) and the buyer (somali ) its best interest of wider society in that suburb. Not at all. Thanks for that. Its win win for seller (non african ) and somali(buyer) in these situations,it also helps the non african seller not be seen as refugee supporter ir trying yo change the image of suburb by diversifying the area if the locals not particularly interested so the seller also is safe from backlash. I thought of it as just another burger joint. I didn’t much like the burger I had. I’ve had the African meat dish delivered. It was very good. OK. No, I didn’t notice one way or the other. The staff who served me were not, I think, management. Ok that is what unmarked means .kulan was unmarked at that time you did the goss. Correct! Still is in terms of signage. Staff and customers show African influence. Yep they have african food and african staff also staff can mention to any one the identity of the owner which is more important than the rest. What was the point of making unmarked in kulan in african neighborhood is mystery to me! Part of me says its sad they had to do this,but its smart tactics in imperfect world!! How is it reverse cultural appropriation if they say the owner is European. Jani you don’t need to unmarked if you have good size of ugyhur population in the the area you want open a restaurant. We have new new ugyhur restaurant in Ballarat rd. Hi jani if you don’t have the numbers of ugyhur population,may be include some han Chinese plates on your menu.in order to do unmarked you need to drop all ugyhur elements from your restaurant.but first try mixed han & ugyhur dishes. Jani you will alright do try it all ugyhur meals ,if required number not walking in it means the population ugyhur is limited. But if you want do unmarked particular Caucasian eatery, be prepared to be in kitchen at 5am,they eat early this community, biscuits, muffin, sandwiches and coffee must be on tables at 6am,don’t do larger quantity ,keep it light, the interior must be hip,use one or two long tables of 8 persons could share from all corners,they are sharing tables with strangers also newspapers on side of tables,if you want target younger white community get coffee artist.